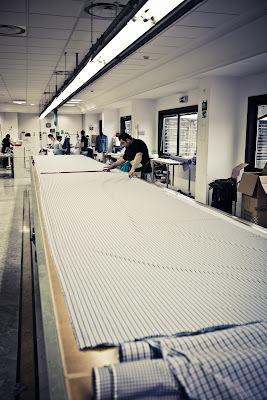 I mentioned in my previous post on the Kiton factory outside Naples that the shirt manufacturing impressed me post. In fact, it wasn’t so much the manufacturing operation as the handwork that resulted – something you can see on any Kiton shirt in a brand/outlet near you. Only two things on the shirt are done by sewing machine. These are the edges of the collars and cuffs (so as to be cleaner) and the side seams up the body and sleeves (to be stronger). Even on the side seams, however, machine stitching is followed by handwork. The latter is so that the shirt body can move more easily, and is less likely to permanently stretch, while the former is merely a back up to keep the parts together. Most shirts use two lines of machine stitching on the side seams (T&A’s certainly do). This creates a hard little ridge of cloth that should be less comfortable than a hand-sewn edge. The bottom of the shirt is all finished by hand, delicately turned over like a hand-rolled handkerchief. The cuff is attached by hand, gradually easing in the fullness of the sleeve (though some are also folded in pleats, if the customer or store prefers). The sleeve is similarly attached. Whether these make any difference to the comfort of the shirt is hard to tell. I couldn’t help buying one myself, and it did feel lovely, but that may just be the flyaway cotton it was made from. I equally cannot judge the longevity of the seams. But one obvious benefit is the hand-sewing of the collar, which is upturned and fastened with a pin, before the tailor sews it onto the shirt in a circle. In much the same way as a collar being sewn onto a bespoke jacket, this means the shirt collar retains its shape even when unbuttoned. It is less likely to collapse beneath that bespoke jacket when you wear it (and this I can attest to). Other interesting details are that Kiton uses no interlining down the placket of its shirt, which is actually cheaper but makes it lighter to wear. That placket is basted back onto the shirt by hand. All the buttonholes are sewn by hand, which seems like an awful lot of effort to someone used to closely examining the buttonholes on his suits. The buttons are also sewn on by hand, using the ‘chicken foot’ or three-pointed technique to demonstrate this. And finally the collar is an interesting mix of fused and floating construction, with a light, floating canvas throughout for comfort but fused sections at both ends to keep them sharper. 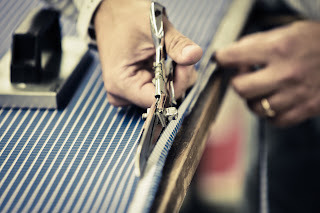 Many Neapolitan shirts include hand sewing, where English shirts at the same price would not. 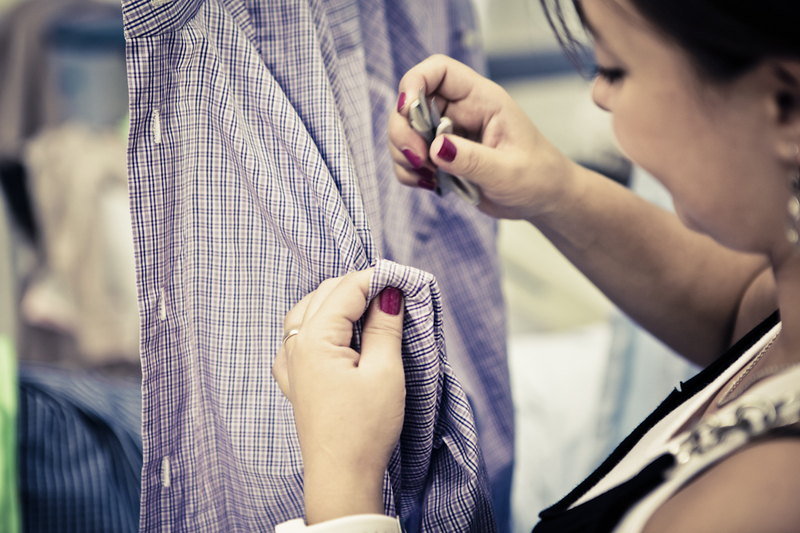 Borrelli shirts are a good example, and very good value for the amount of handwork they require. So Kiton is not alone. 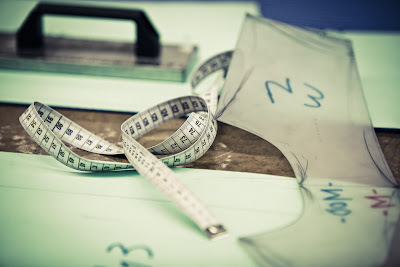 But Kiton is the only shirtmaker to include all these steps, and is constantly aiming to innovate. Sebastiano, the head of Kiton’s shirts and in fact a scion of the Borrelli family, is a fantastic example of this. While I was at the factory Sebastiano, Riccardo (Renzi, London store manager) and I discussed many new points and models. One I particularly liked, being made for the anniversary of Italy’s unification, was a very lightweight shirt made in a long-sleeve polo style. Somehow there was just enough room to get the shirt over the shoulders, while remaining narrow at the waist. Here’s to a wonderful shirt maker. You can follow the discussion on Naples, Kiton: shirts by entering your email address in the box below. You will then receive an email every time a new comment is added. These will also contain a link to a page where you can stop the alerts, and remove all of your related data from the site. Dear Simon, great and insightful piece. It would be interesting to know if Kiton or Borrelli offer a bespoke service, or perhaps MTM. They certainly do. Kiton offers one service, which is bespoke, creating a paper pattern for you and going through the same construction process as above. It makes up almost half of the Kiton output. I know less about Borelli, but they certainly offer some MTM or bespoke. There doesn’t tend to be much difference between MTM and bespoke in shirts from the same manufacturer though. The construction will be the same for all lines (is for Turnbull & Asser as well) and then it’s just a question of how many things they alter. Thank you Simon. So is Kiton offering a true bespoke shirt service from all their shops, or only from Napoli? Their web site is not very informative (and I read Italian). Mr Butcher certainly has his ways, and I’m not sure it is what I’d wear in a leisure shirt. But as to Kiton, all their shirts are made in Naples. So you can order a bespoke shirt from London, be measured and fitted there, but it will be by someone visiting from Naples. The shirt will then be made there and sent to London. It is true bespoke in every way I can think of to define it. My only other experiences I have of bespoke shirtmakers are T&A and Emma Willis. I prefer the former and now have most of my wardrobe from there. 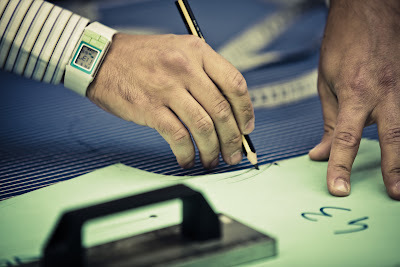 T&A has much less handwork than Kiton or Borrelli but the cloth is cut by hand using computer-generated patterns (search on the blog for the factory visit there). As to handwork generally, I love my T&A shirts but was very impressed by the artisan work at Kiton. Whether they make any difference to the comfort, fit or longevity of a shirt will have to wait until I’ve worn their shirts for a bit. Very interesting post as usual Simon. How much does a Kiton shirt retail for? I want to throw a query out to fellow readers… I’ve got a number of Turnbull & Asser off-the-rail shirts and I have to say I think the quality has diminished in recent years. Particularly, I’ve noticed the floating innards of the collar becoming bunched up, consequently ruining the shape. I’ve had some T&A shirts for many years and this has never happened to the older ones. Anyone else had this problem? I guess there is another operation done with machines: cutting. Or am I mistaken? Cutting is done mostly by hand, with shears, as you can see above. I have just contacted Kiton in London about their bespoke shirt service and the current entry level price is £390 per shirt. Kiton is certainly one of the best menswear brand in the world and they made phenomenal everything including of course shirts. I have been learning a lot of neapolitan shirts and speaking with a lot of neapolitan shirtmakers and they can all offer the 24 hand passages but that’s a rather delicate shirt probably not adequate for a chap living and working in a big busy city as London. The 8 or 10 hand passage shirt is a better option and cheaper of course. However, hats off for Kiton, they are fantastic.